opam - new opam features: "opam build"
UPDATE: after discussions following this post, this feature was abandoned with the interface presented below. See this post for the details and the new interface! The new opam 2.0 release, currently in beta, introduces several new features. This post gets into some detail on the new opam build command, its purpose, its use, and some implementation aspects. opam build is run from the source tree of a project, and does not rely on a pre-existing opam installation. As such, it adds a new option besides the existing workflows based on managing shared OCaml installations in the form of switches. Typically, this is used in a fresh git clone of some OCaml project. Like when pinning the package, opam will find and leverage package definitions found in the source, in the form of opam files. if opam hasn't been initialised (no ~/.opam), this is taken care of. 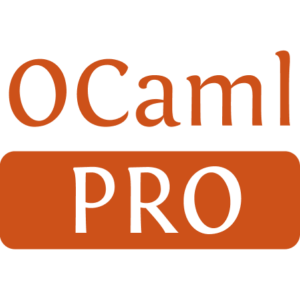 This is particularly useful for distributing projects to people not used to opam and the OCaml ecosystem: the setup steps are automatically taken care of, and a single opam build invocation can take care of resolving the dependency chains for your package. Note that if you just want to handle project-local opam files, opam build can also be used in your existing switches: just specify --no-autoinit, --switch or make sure the OPAMSWITCH variable is set. E.g. opam build --no-autoinit --deps-only is a convenient way to get the dependencies for the local project ready in your current switch. will install the results of the package found in the current directory below ~/local. The dependencies of the package won't be installed, so this is intended for programs, assuming they are relocatable, and not for libraries. where <repos> is a comma-separated list of repositories, specified either as name=URL, or name if already configured on the system. Multiple packages are commonly found to share a single repository. In this case, opam build registers and builds all of them, respecting cross-dependencies. The opam files to use can also be explicitely selected on the command-line. In this case, specific opam files must be named <package-name>.opam. The choice of the compiler, on automatic initialisation, is either explicit, using the --compiler option, or automatic. In the latter case, the default selection is used (see opam init --help, section "CONFIGURATION FILE" for details), but a compiler compatible with the local packages found is searched from that. 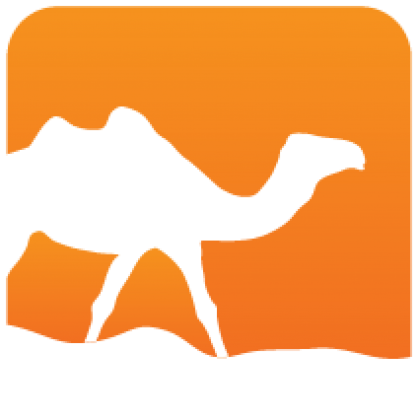 This allows, for example, to choose a system compiler when available and compatible, avoiding a recompilation of OCaml. When using --install-prefix, the normal installation is done, then the tracking of package-installed files, introduced in opam 2.0, is used to extract the installed files from the switch and copy them to the prefix. The packages installed through opam build are not registered in any repository, and this is not an implicit use of opam pin: the rationale is that packages installed this way will also be updated by repeating opam build. This means that when using other commands, e.g. opam upgrade, opam won't try to keep the packages to their local, source version, and will either revert them to their repository definition, or remove them, if they need recompilation. This is still in beta: there are still rough edges, please experiment and give feedback! It is still possible that the command syntax and semantics change significantly before release. Another use-case that we are striving to improve is sharing of development setups (share sets of pinned packages, depend on specific remotes or git hashes, etc.). We have many ideas to improve on this, but opam build is not, as of today, a direct solution to this. In particular, installing this way still relies on the default opam repository; a way to define specific options for the switch that is implicitely created on opam build is in the works. Generated from opam-build.mdusing opam2web, courtesy of OCamlPro. Commercial support.